Martin Gurdon tests the VW T2, still imported in 2009 and converted to a camper by Danbury. 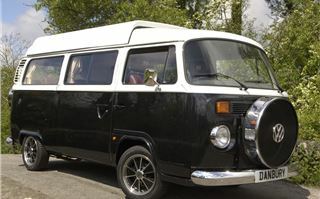 That old pub car bore’s adage; ‘why did they ever stop making the ....?’ (insert name of favourite, long-defunct motor here) doesn’t apply to Volkswagen’s famous, rear-engined Type 2 ‘Bay Window’ van, because it still does. 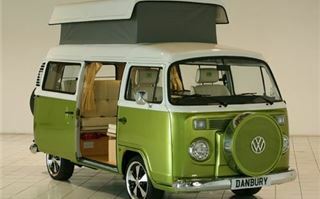 Launched in 1967, German production stopped way back in 1979, but the model kept going in South America, and it’s still alive and well and rolling off a Brazilian assembly line, although looming air bag and anti lock brake legislation might kill it off by 2012. 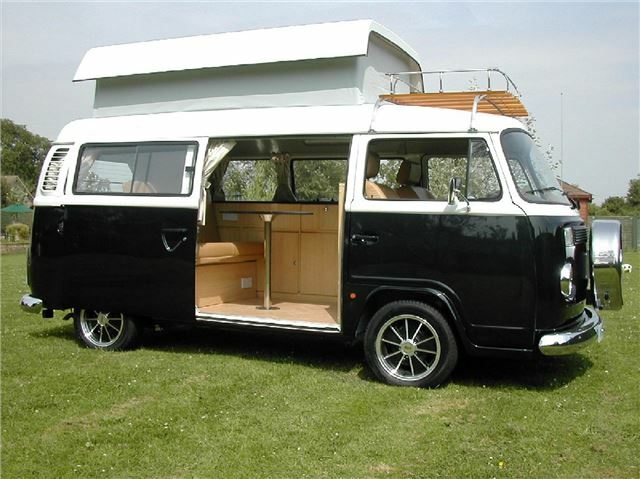 The Type 2’s extended Indian Summer has seen it make a re-appearance in Britain, thanks to an enterprising business based near Bristol, which imports these vans and turns them into motor homes (and usually switches them to right hand drive). 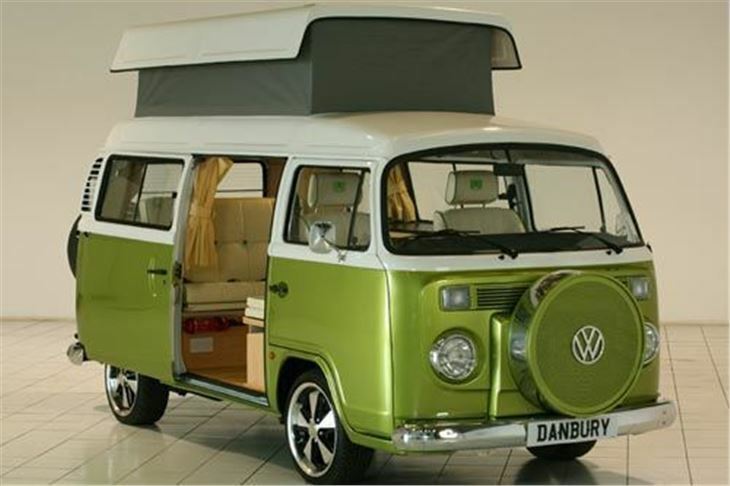 Cleverly, it bought the old Danbury name, as Danbury was famous for turning European Type 2s into campers during the 1970s, and leagues of people who either grew up with the originals, or would like to experience their qualities in something that isn’t thirty-plus years old, are beating a path to Danbury’s door. It claims to be filling about fifty orders a month. With prices ranging from £22,999 to £35,495 (although adding options can massively increase what you pay), these people are getting a unique slice of motoring history, with all the good, and less good aspect that this implies. One bit of good news is that these vehicles seem to be decently made, with good fit and finish, and many of the design details people fondly remember, from the round quarterlight knobs to the ribbed armrests/door pulls, and scattered ‘pull me’ switches are much as before, although there are more of them now, because the heating system has been changed, and the vans no longer have screen vents, instead both windscreen and rear window have built in heater elements. 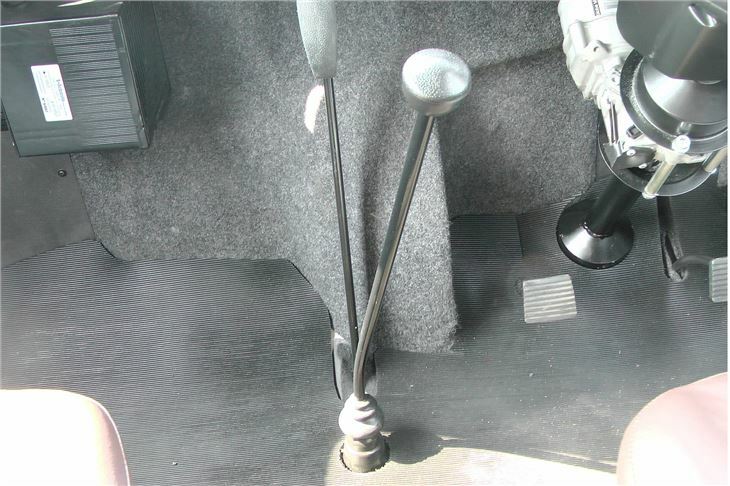 The pedals still hinge from the floor, the handbrake remains a pull-and-twist umbrella job, and the driving position is still comfortably bus like, although the original, rather nice instrument pod has been replaced by a slightly fussy ‘what the butler saw’ arrangement of dials and warning lights. 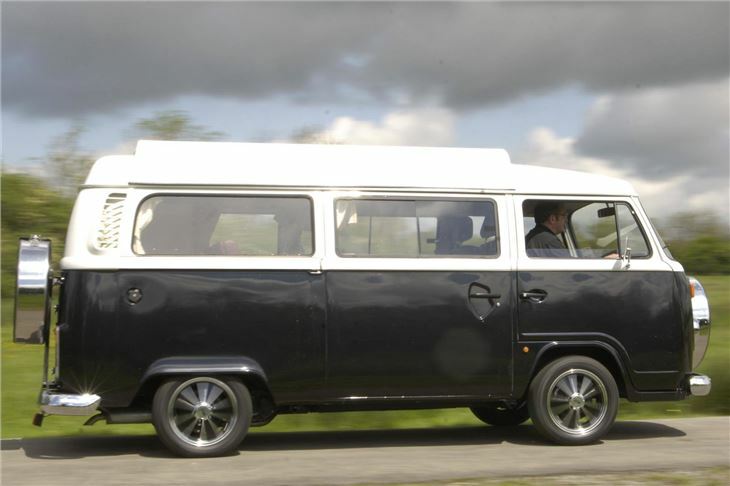 Turn the ignition key and instead of the familiar, flatulent clatter of a flat-four air cooled engine, there’s a non-descript, watercooled throb. 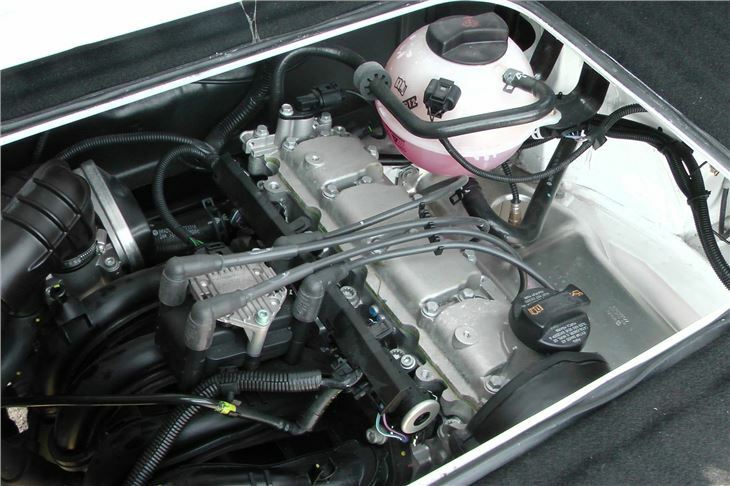 Thanks to emission and noise laws Type 2s now have in line, 1,400cc watercooled engines found in VW’s Fox supermini. These fit surprisingly neatly under the rear engine cowl, and access for servicing seems good. 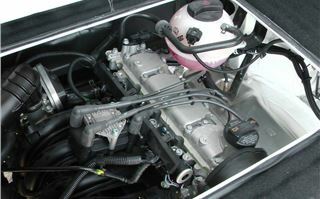 If the engine is new, the four-speed gearbox is not, and it’s still worked by a willowy lever that feels vague but always seems to select the right gear. 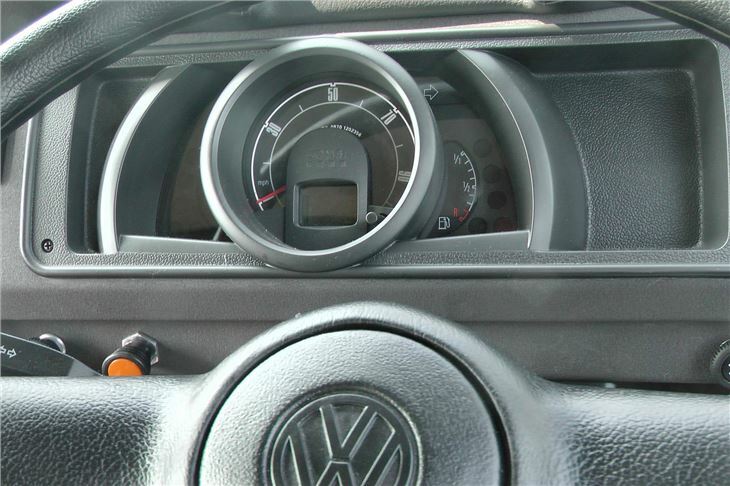 A fifth gear might have made sustained cruising a bit more relaxed, and at a comfortable 60mph, the van is fairly nosy but not especially strained, although it perhaps lacks the go-on-forever torque of the original in 1.7 and 2.0 litre forms. 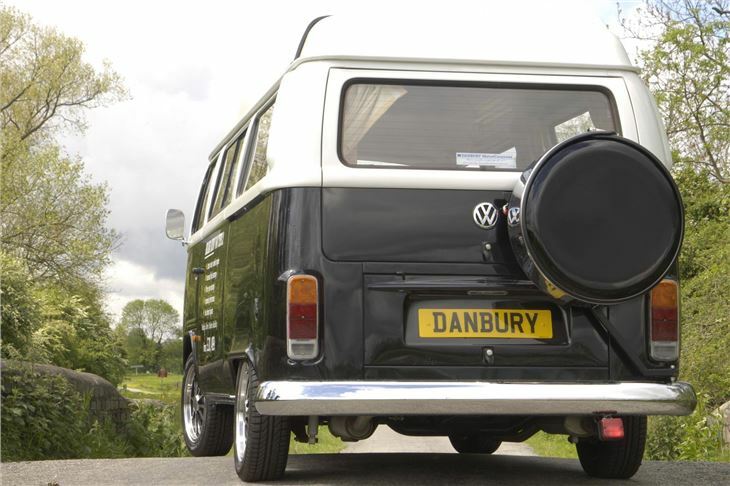 Danbury reckons it can be tortured to a little over 80mph, but doesn’t even bother with a 0-62 figure, although searching the internet revealed 22.2 seconds, which seems credible. We suspect it will return about 30mpg, and is capable of running on biofuel –many Brazilians power their cars and vans on alcohol extracted from sugar cane. 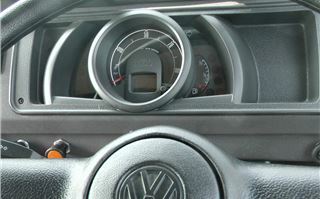 A lot of people who loathed the old Beetle’s sometimes twitchy handling liked the Type 2, because the driver and front passenger sat over the front axle, compensating for the vehicle’s tail heavy weight distribution, and aside from some cross wind wander, the van’s neutral handling won praise. This feature remains, but the example we drove, with big alloy wheels and lowered suspension (near £2,000 options), had a somewhat crashy ride, lacking the easy going, nodding dog quality of old, so perhaps softer springs, slimmer tyres and steel wheels would suit it better. Danbury has launched a rather clever power steering conversion using an electric unit from a Ford Fiesta. 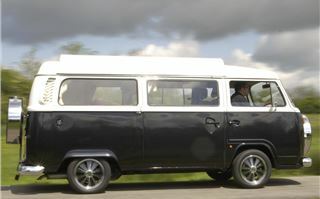 This makes the T2 very light to steer, and painless to park, but it feels rather dead, and there doesn’t seem to be a huge amount of self-centering. 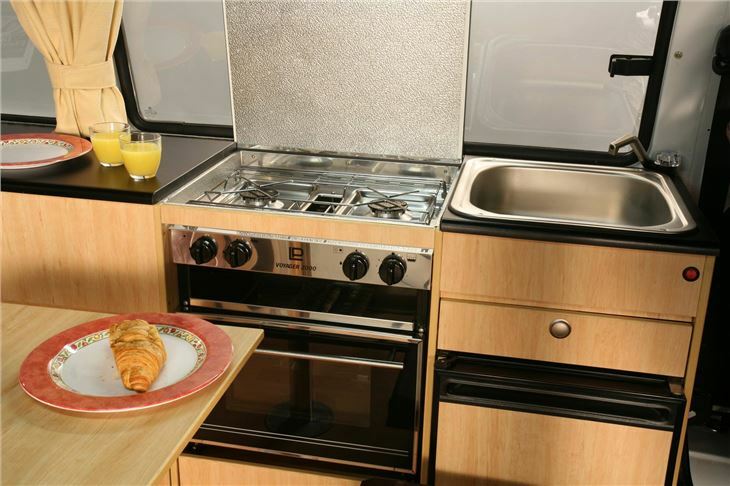 Adding £3,499 to the standard price, it’s also eye-wateringly expensive. 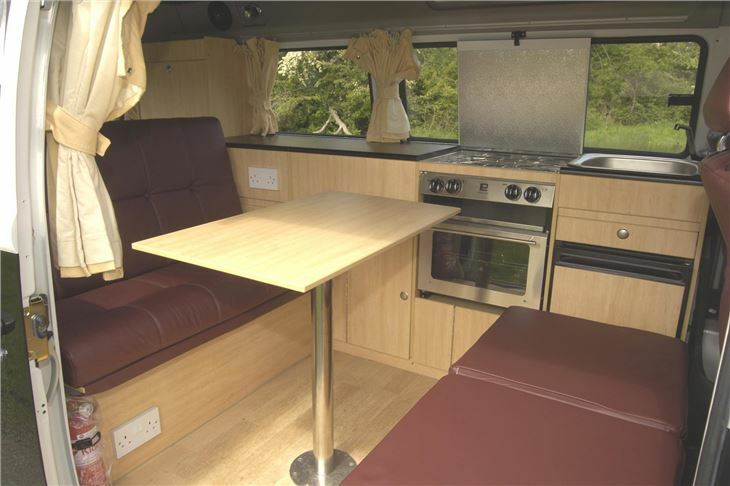 For driver and passengers alike the T2 does retain a certain charm. 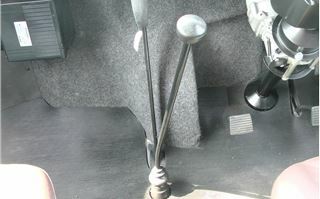 Even the long-travel pedals, which require substantial shoves to make it go and stop, are part of the fun of driving it. The other interesting thing is that by modern standards it feels quite small. The one we tried was a Classic, which sits in the middle of a quite complex range of models. 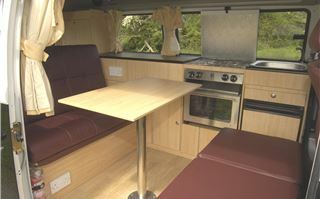 The conversion itself is well made and nicely thought out, unpretentious and easy to use. 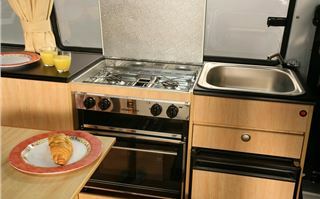 The fridge loads from the front, and the cooker provides a grill and decent sized oven. We found the hefty fold away bed simple to operate, likewise the manual pop up roof –but again this is a £1,995 option. You can spend a lot of money on versions with built in plasma screens and other lifestyle gear, but we reckoned the Classic, with right-hand-drive prices starting at £29,599, had everything most people would need. What every T2 lacks is modern safety gear. Born before anti lock brakes and airbags, it naturally doesn’t have them, and there’s no escaping that even with a spare wheel bolted to its nose, only a thin sheet of tin separates driver and front passenger from the outside world. Logically, it’s hard to justify owning a T2 when it’s possible to buy camper vans that are decades younger and have all the advantages forty years of engineering progress, but logic really isn’t the thing here. 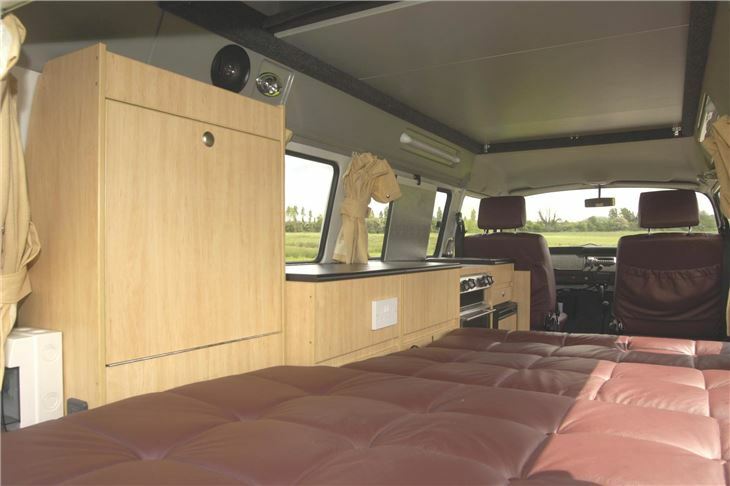 You’d buy this vehicle as an indulgence, in much the same way you’d shell out on a big touring motorcycle or a classic car. 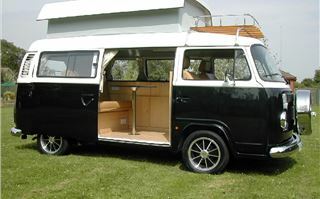 People love the T2, and desire it because of what it is and the nostalgia it represents. For them, nothing else will do. 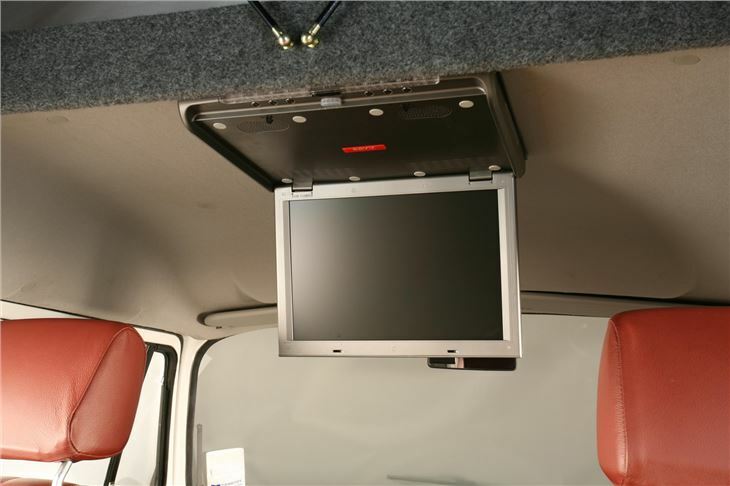 These vehicles are sold with a vast range of options. It’s worth reading the small print of Danbury’s website, because some items you might expect to be standard, like pop up roofs, aren’t, and add considerably to the price. 0-62 22.2 seconds; top speed 81mph, economy 30 mpg (combined (est)) CO2 emissions 144g/km (est). 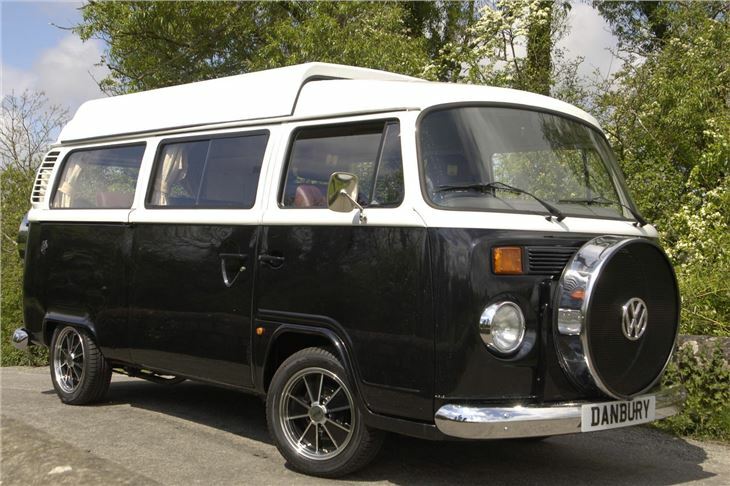 A well maintained or restored original, air-cooled Type 2 (prices from about £5,000).